I just realized I never posted the totally-necessary (unlike, say, Godfather III) completion to our Paintings of George by Jim series. I like the painting by the way. This is wonderful. 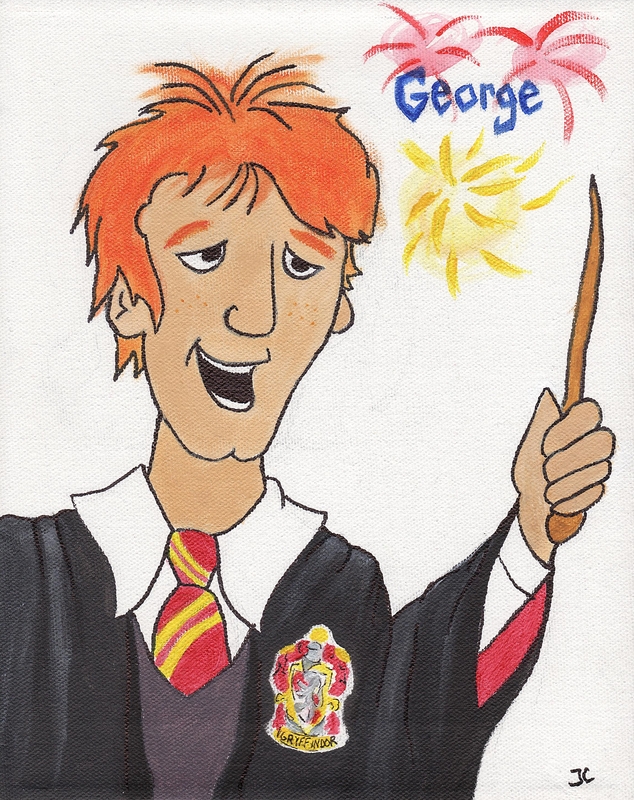 I love Fred and George and everything Harry Potter. :-D … this was a fun project. And I knew they’d get a good home.